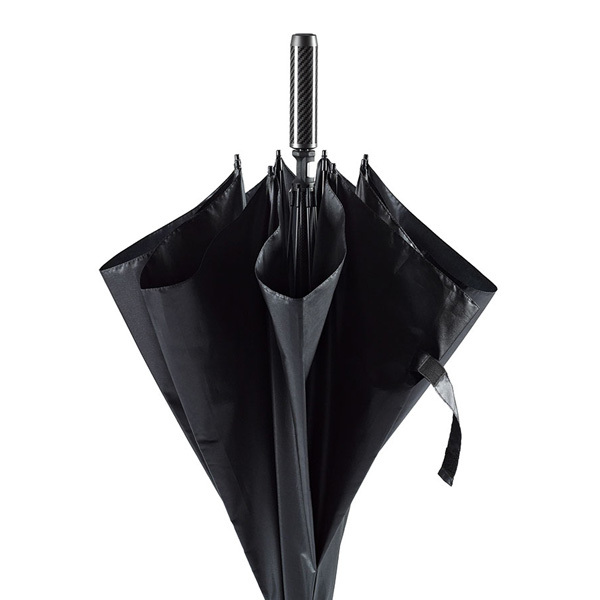 The high-end version among the golf umbrellas – without any compromises. 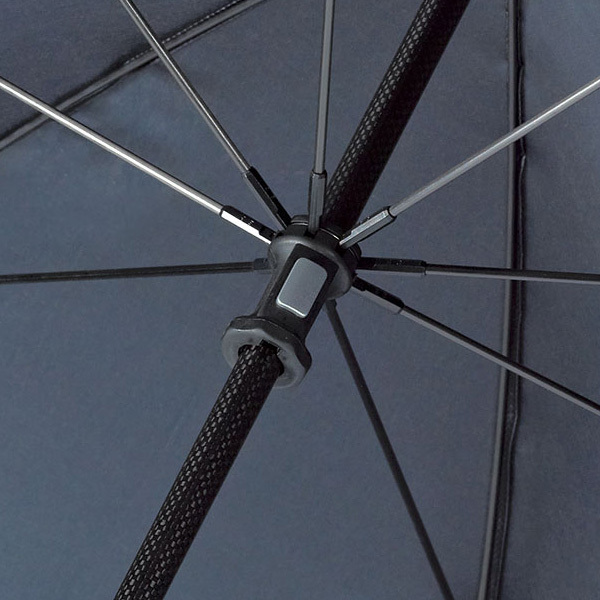 Extremely light in weight and almost unbreakable. 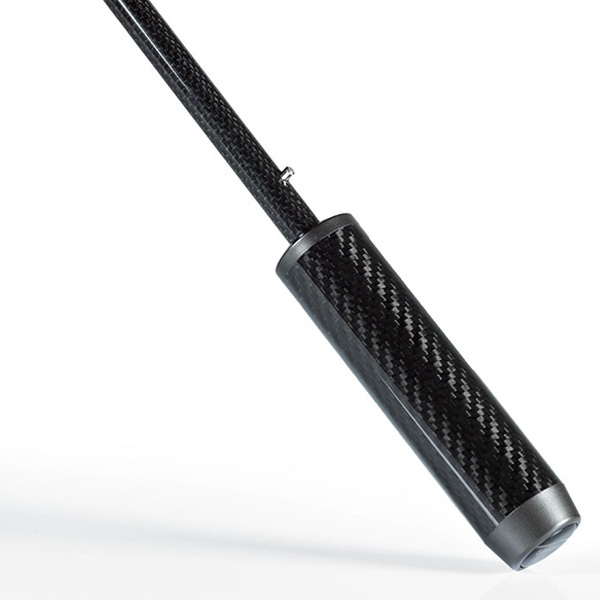 Nearly all parts – ribs, shaft, and handle – made of real carbon. 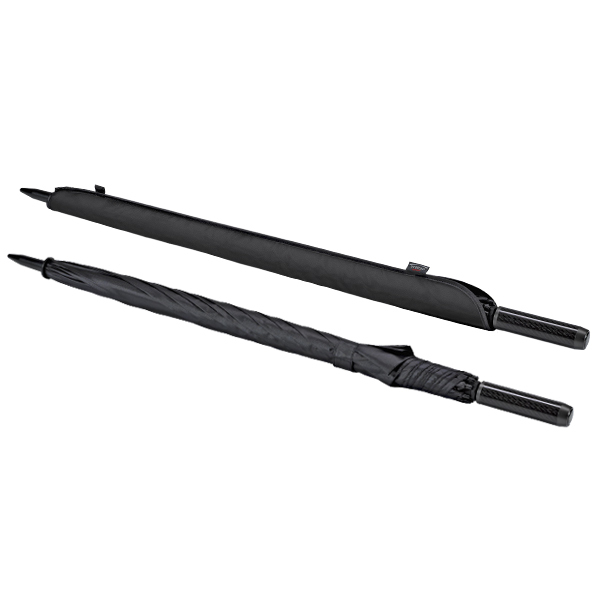 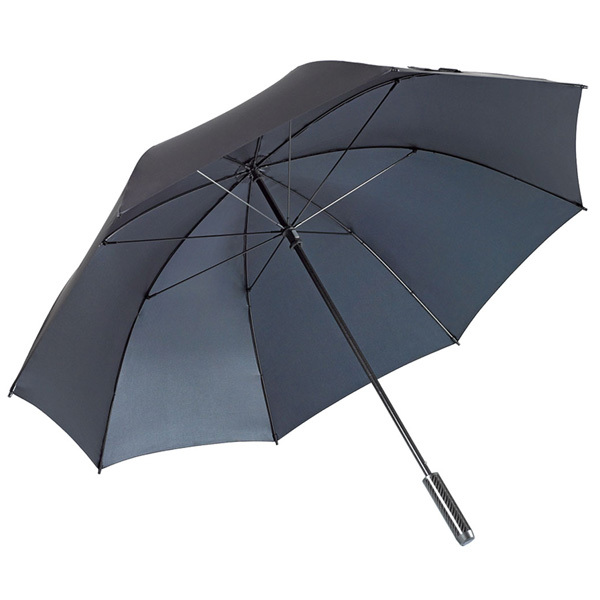 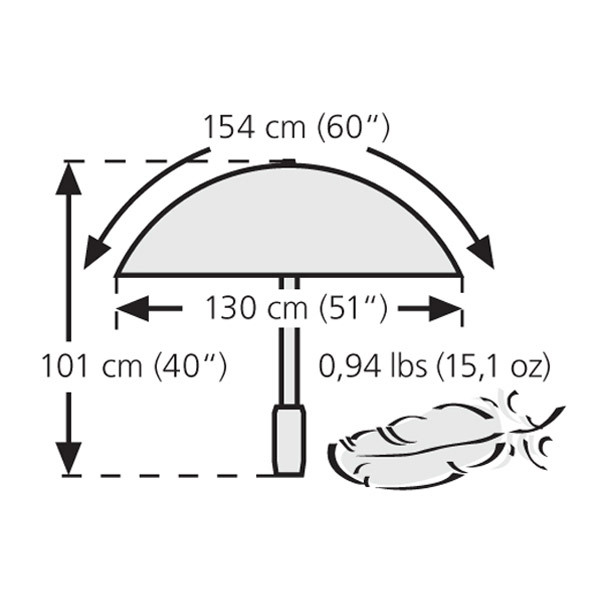 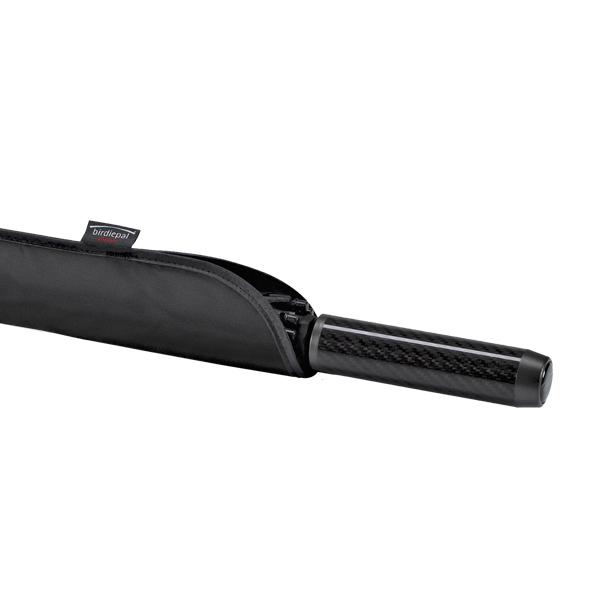 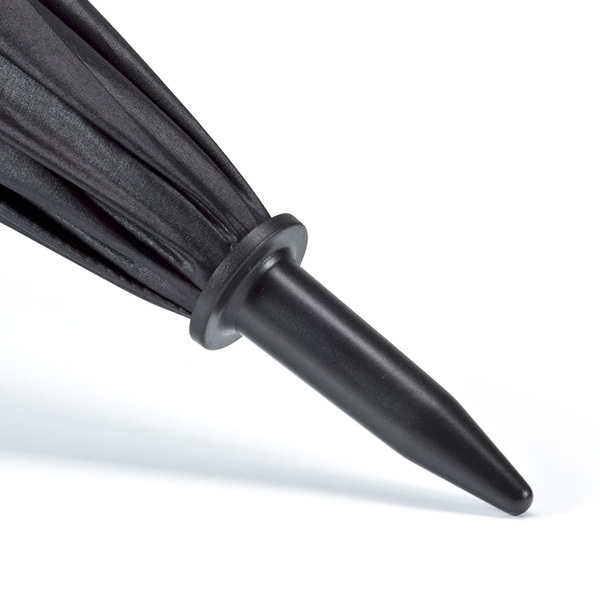 The patented pin spring system with its safety runner enables a comfortable and reliable opening and closing of the umbrella without pinching fingers. 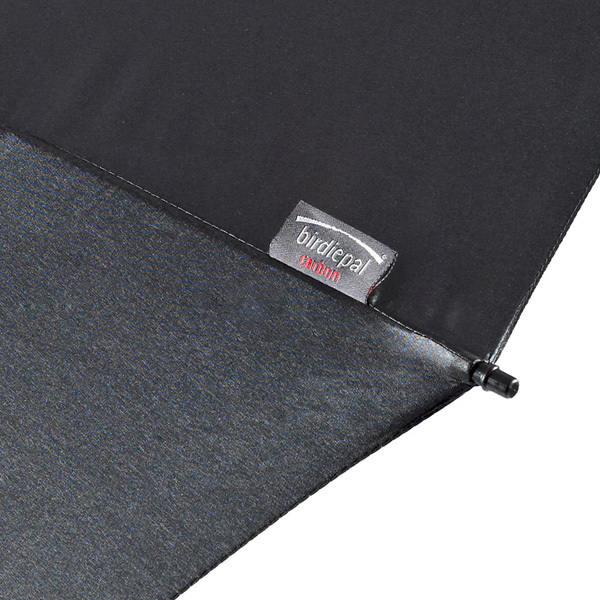 Cap made of ABS-material with extra large edge to protect the umbrella canopy when putting in and out the bag.